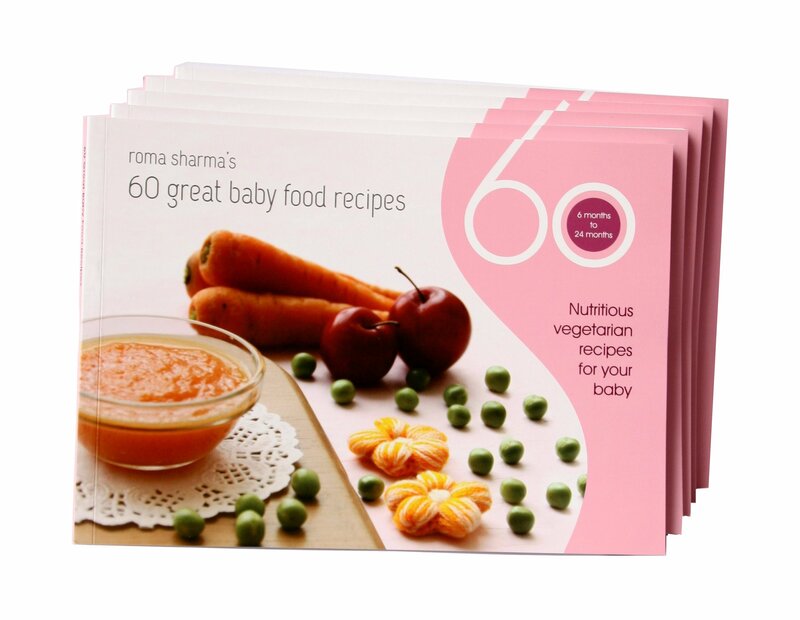 There are certain simple meals in every home that lie in the Comfort Food category for all family members. 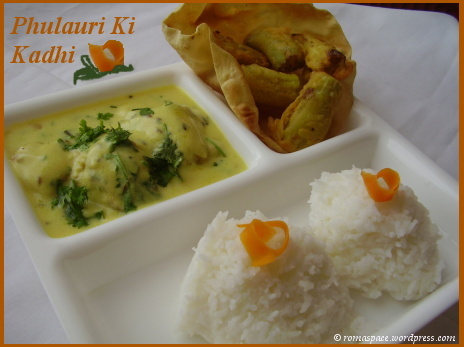 Phulauri Ki Kadhi is one such dish which makes a perfect Sunday lunch for us. It must be among the top favorite dishes of my husband. Phulauri stands for Besan dumplings and Kadhi is a curds gravy. In the picture you can see that the Kadhi has been served with steamed rice and Mirchi ke pakode. Makes a great combination. Just remember not to accidentally put the pakode in the curry instead of the besan dumplings 🙂 If you cant make mirchi ke pakode then have kadhi and rice with red stuffed chilly pickle. The combination rocks! Kadhi comes from the word ‘Kadhana’, which literally means ‘thickening’. In this recipe we cook buttermilk for a long duration of time on sim flame till it becomes thick and creamy. Hence, the name. This is my entry to the Curry Mela hosted by Srivalli. I love the idea of having a collection of curries that dont use dal. I am eagerly awaiting the round-up. Mix the besan with ajwain, salt, fruit salt and water enough to make a paste. Deep fry besan dumplings in hot oil. Keep these dumplings or phulauris aside. Blend curd, hing, salt, turmeric powder, besan with water in mixie jar. Heat the Oil. Add jeera seeds, mustard seeds, saunf, Curry leaves and red chillies. Once the tempering crackles add the curds mixture to it. Boil well on sim flame. This is where you need patience. You need to boil this mixture till it thickens and loses about 25 % of its volume. Add dumplings and simmer for another 2 mins. Turn off the heat and garnish with finely chopped coriander leaves. Serve piping hot with rice.